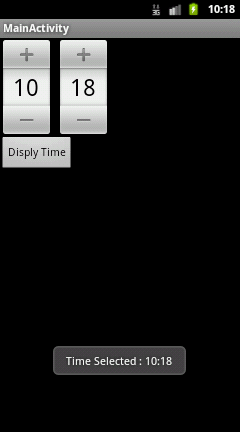 The TimePicker view enables users to select a time of the day, in either 24 Hour mode or AM/PM mode.For this you can use "android.widget.TimePicker" class in android. 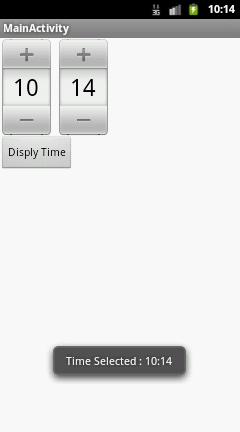 Please note that getCurrentHour() method always returns the hour in 24-hour format i.e. value from 0 to 23.